The universal goal of every business is to sell their goods and services. The way to achieve this is by positioning the business before a target audience and offering something that solves their problem, or meet a need that can’t be met elsewhere. It is why one of the biggest hurdles of any business is being able to get and retain customers. Highlighting what makes you and your product or services better that the closest competition is how you market yourself. Do you offer a better price? A better quality? Or a combination of the two? Or, simply put, better value? That’s good. You can tell a person how well your product or service solves a problem or satisfies a need in much better ways than the rest of the competing brands, but that doesn’t tell them what you are going to do for them. So, forget a about making comparisons, emphasize your benefits. Your potential customers can find out the similarities or differences between you and your competitors on their own, but what they really need to know is how you or your products and services can make their lives better. Selling your benefits is the fastest way to increasing your marketing efforts. Business owners often assume they’re offering a superb or unique product or service to their potential customers, when in reality, they are offering what everyone else is offering. It is not possible to effectively sell your products and services if you don’t know what or how your competitors are doing. You need to know what they offer, what prices they fix and what guarantees they are giving their customers. This way you can determine how best to make your offering more attractive to your potential customers. Find out what your competitors are doing and look for a way to add real value to what you are doing. This will give you an edge in the market. It is a costly mistake to wait until your product is perfect before introducing it to the market. Many businesses expect to start selling their products immediately it is ready, but how will people know to buy, when they have no idea about the product? Pre-selling is a good strategy that works every time. Put the idea about your product out there even before it is ready to hit the shelves. Let people anticipate the product. Marketing your product before it is ready for sale creates expectancy in the mind of you r potential customers. A good example of a company that does this is Apple. They create a huge awareness about a new product launch, then they have a huge crowd of customers queuing up for days waiting to be among the first to buy. Sell your benefits before the product launches. This way, when the product is ready, your customers are too. The proverbial saying “don’t put your eggs in one basket” is apt, when it comes to marketing. It is a good idea to test multiple marketing channels. This way, you can determine which works best for you. Focusing your efforts and energy on just one marketing or advertising channel is a very ineffective move. There are different channel’s to reach different people, and the only way to find out which channel is most effective is to try out multiples of them. Use multiple social media platforms to share the benefits of your products and services. When potential customers see you on Facebook, watch you trending on Twitter, watch your videos on YouTube, find you mentioned on a blog post and see you in search engine results, they begin to accept you and your business as a solid dependable brand. They might not need your product or services immediately, but when they do, your name will be the first to come to mind. Customers are not just some set of strange people out there who only buy your products and services; they also need to be able to reach you. Therefore, you need to provide a place where they can talk to you and talk about you. This makes them know their opinions matter. Keeping communications closed between you and your customers will only result in them having low opinions of your brand and rating it low on review sites, other third party websites and forums. But keeping healthy and consistent communication channels with your target market gives you the opportunity to know exactly how they perceive you. It helps you know what you might be doing right or wrong or where you may need to improve to deliver more quality and satisfactory services. Communicating with your customers gives your brand a personality. It also gives you the advantage of having a place to pre-sell your products and share useful information that would be beneficial to your customers. Only happy, satisfied customers are repeat customers. Everybody likes to feel appreciated and customers are no different. Your customers are your first sales force, their word of mouth testimonials and personal referrals can do more than any sales department. This is why it is a good idea to constantly reward them. You don’t need to have all the money to do this; you can actually do this without spending penny. Something as simple as a personalized thank you email can go a long way to make your customers feel appreciated. You can also go as far as making some special customers feel like a part of the brand, by gifting them branded items like t-shirts and hats. Not only are you rewarding customer loyalty, you are also giving your business free mobile advert. 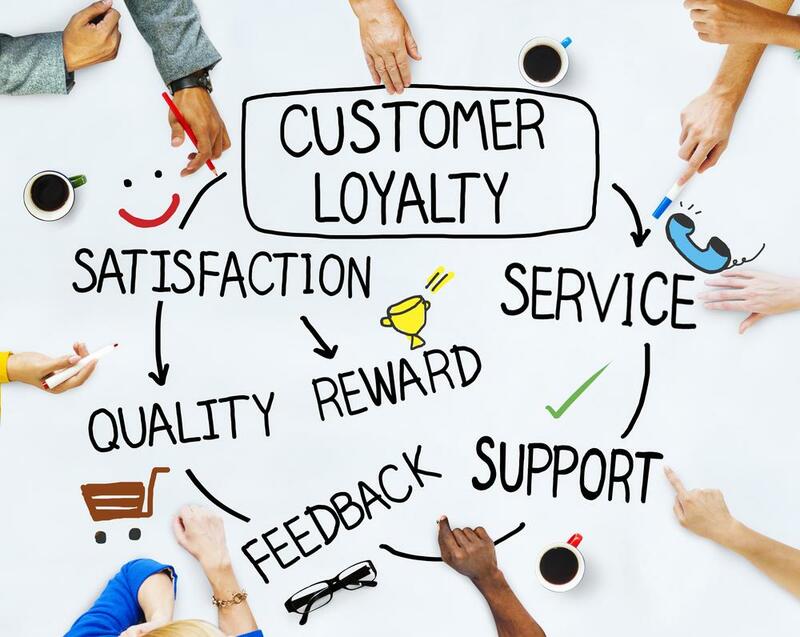 Look for ways to reward your customers; they are the lifeblood of your business. The business landscape is changing every day; you need to change with it. Maybe you have a strategy that has been working for you; and is still working for you. You still need a backup plan.